Issues of authenticity touch just about every aspect of our day-to-day lives - from the relationships we foster to the brands with which we choose to do business. This whitepaper navigates what it means to provide authenic user-generated content - backed by examples, guidelines and proven best practices. 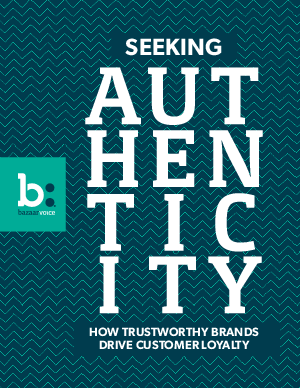 Download Seeking Authenticity: How Trustworthy Brands Drive Customer Loyalty and make sure you're getting all the benefits of trustworthy user-generated content.